This Full Moon set embodies my favorite night of every month – the night of the full moon. It represents abundance, possibility, and unfolding potential. It’s a time to gather your bounty and celebrate what’s yours. My favorite of all moon magic. Our ancestors have danced under its light for eons. Now, it’s our turn to celebrate la Luna in all her unbridled glory. Have you ever noticed how much more magical and alluring everything looks in moonlight? It casts a pale silver hue on the world, illuminating everything in its path with a light that is universally flattering. 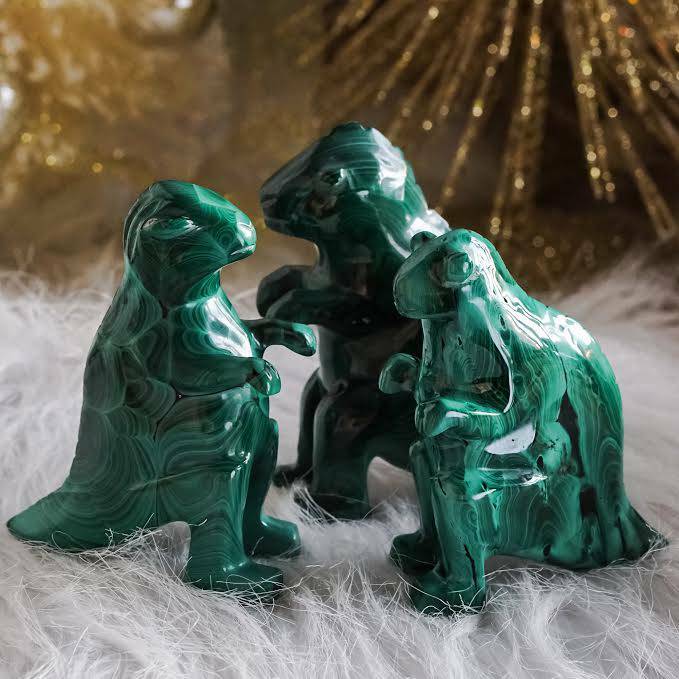 This beautiful set of handcrafted ritual tools has the same effect – it’s designed to light YOU up, and lead you to cast your own light on the world – a light that is vivacious and strong. Use yours at the full moon each month. That’s what I do – I have a full moon box of sacred goodies that I only use when Luna is full (24 hours before and 24 hours after her peak fullness). I get so excited when it’s time to take out my full moon tools. Even gathering them becomes a kind of ritual. 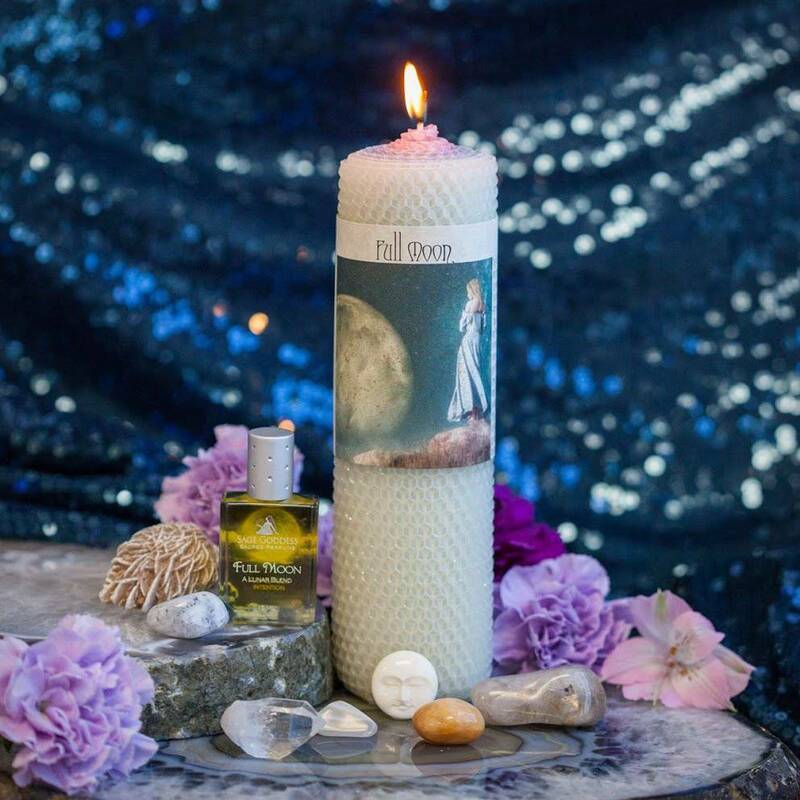 First, you will receive a 15mL bottle of my Full Moon perfume, a divinely enchanted scent composed of white flowers from India, and bottled with a Full Moon invocation printed on the bottle. Next in this set is an 8″ beautiful beeswax Full Moon candle in shades of lavender, pale silvery blue, and white – all the loveliest lunar colors. Each candle is hand-rolled with my Full Moon perfume, also included in this set, and a white moonstone chip stone. Moonstone invokes all the blessings of the full moon including divine wisdom and intuition, psychic ability, and manifestation of intention. Then comes a rare and beautiful Bone Moon – an elegantly hand-carved peaceful moon face about .75″ in size, made of yak bone for connecting with the Earth, enhancing strength, and amplifying life force energy. 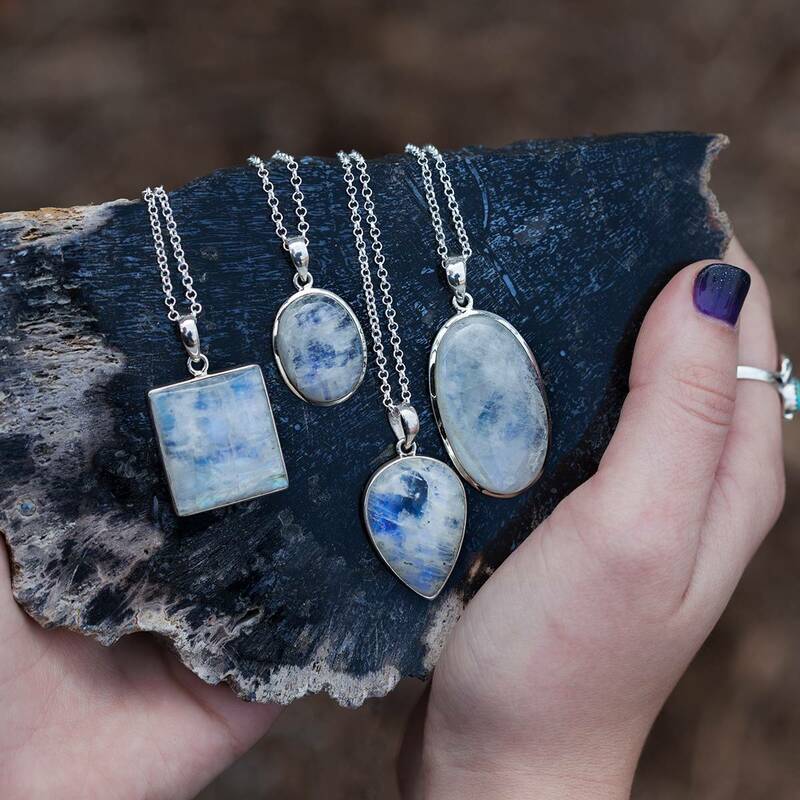 White moonstone brings visions and dreams to life, which is why so many gem collectors and magicians prize it. It draws down the moon and all her watery lunar mystery so you can harness and use it in your own work. Rainbow moonstone brings joyful energy, diffusing harmony and happiness throughout the aura. 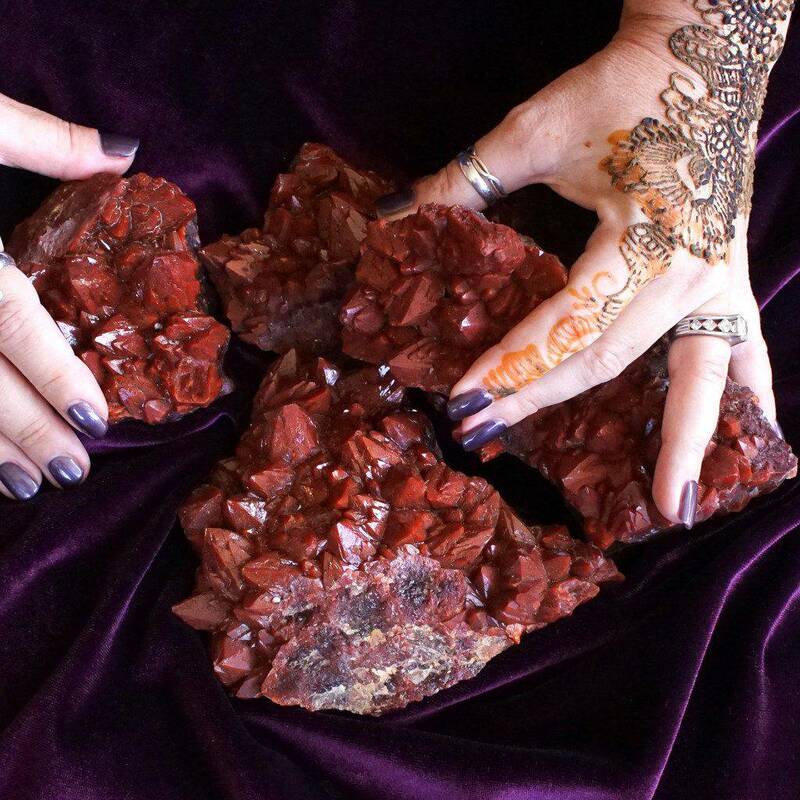 It is also a powerful emotional healing gem, clearing traumas and offering positive protection. It carries inner peace, keeping our energies, senses, and minds clear and open. Rutilated quartz is intended to draw change to your environment, change to yourself, and change to your relationships. They attract and reflect growth and can help you handle transformation with more grace and calm. Desert rose selenite is excellent for clarifying visions whenever you need to interpret those messages in a flowing way. This gentle-spirited crystal teaches us to flow with the wind and create landscapes from our dreams. Apricot quartz facilitates connection with the Divine and helps you discover what is for the Highest Good of all. It aids in releasing energy blocks within the Sacral and Heart Chakras, opening one’s heart to Universal love and compassion. Clear quartz point to strengthen the vibration of all the other gems in this set. Note: Please remove label before burning, always use a heat proof dish on a stable surface, and never leave a burning candle unattended. Also, this product is made with natural essential and carrier oils, and may contain fragrance oils. Cap color, chip stone, and color may vary slightly. For external use only. This listing is for one (1) Full Moon set listed above. Yours will arrive lovingly parceled along with a parchment describing the properties of each stone.